Nestled under the grant-making program Barangay Cherry Mobile, “Be Cool in School” is a back-to-school project dedicated to keep pupils in school, particularly those who come from poor communities. Many kids in the provinces do not go to school primarily because their parents could not afford to buy them school supplies. Through the “Be Cool in School” program, Barangay Cherry Mobile provides study kits to pupils in selected public elementary schools in order to assist the government in retaining pupils in school. A typical "Be Cool in School" back pack contains a set of notebooks, a pad of paper, and pencils/ballpens depending on the recipient’s grade level. By providing basic school supplies, "Be Cool in School" helps even mothers that are enrolled as grade schoolers at Bongo Integrated School, Maasim, Sarangani. 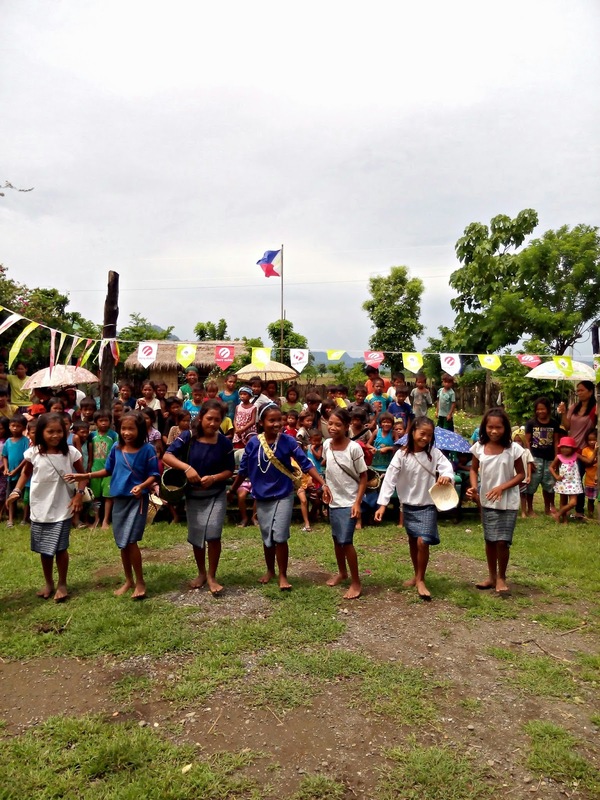 This School Year 2014-2015, “Be Cool in School” went nationwide and focused on reaching the rural poor and indigenous communities in different areas in the country – 21 provinces, 85 schools, and almost 16,000 beneficiaries in total. Barangay Cherry Mobile shared resources and started ripples of fun and inspiration in areas where others would not want to go – among the poorest of the poor, areas affected by insurgency, calamity-stricken locations, and isolated communities. The back to school project spread its arms to cover much of the island of Luzon; traveled far up to the mountain-residing communities in the northern regions; and left behind modernized surroundings for a while to meet the children of the untouched plains of Oriental and Occidental Mindoro. The volunteers flew to various places in Visayas to shed hope to the victims of calamities and isolated communities; continued on the journey rain or shine, night or day; and crossed rivers and climbed mountains literally in Mindanao to reach remote tribal groups and people residing in conflict areas. 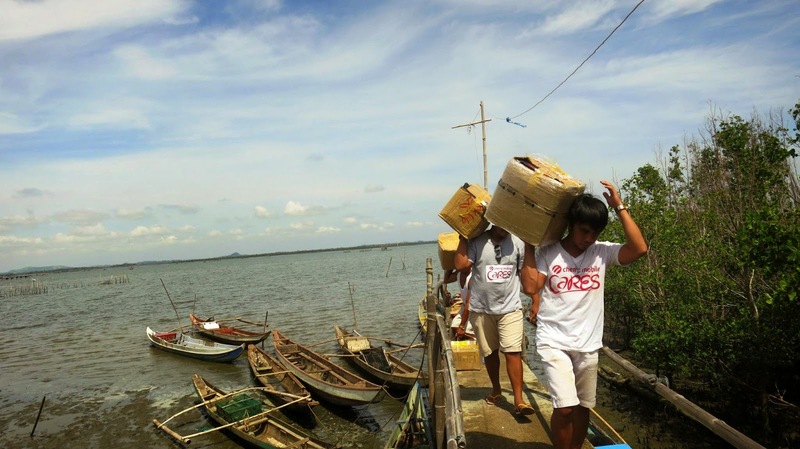 Volunteers helped transport the school kits across islands in Capiz. With this year focused on reaching the indigenous people, volunteers literally climbed mountains to deliver their gifts to deserving pupils. Rain or shine, the school kits reached their intended recipients. Whether there is sunshine or moonlight, Barangay Cherry Mobile pushed through to accomplish the mission of reaching the children. This year, the project catered to various indigenous people: the Ifugao, Aetas, Dumagat, Badjao, Mangyan, Hiligaynon, Blaan, Tboli, Maguindanaon, Tagakaulo, and Tausug. Among the beneficiaries as well are the relocated informal settlers in Laguna, the urban poor, calamity-stricken communities specifically in Samar and Leyte, and families that are internally displaced due to war. This altogether is an action fueled by compassion for those who needed help the most. Pupils from Aeta communities in Pampanga and Tarlac received "Be Cool in School" backpacks. Ifugao people graced the "Be Cool in School" activity with their own tribal dance. Blaan students from Bongo Integrated School in Sarangani wore their outfit when Barangay Cherry Mobile visited their school. Pupils from the Mangyan tribe in Mindoro participated in the games and performances held during the "Be Cool in School" activity. A pretty Ifugao kid wins a foldable water bottle in a game held during the "Be Cool in School" program. Despite their shattered school, pupils in Divisoria, Leyte, have a reason to rejoice knowing that there are people who care for them. A Maguindanaon pupil in Malapatan, Sarangani, receives a school bag handed by a volunteer from Hearts and Brains. Aside from the gift giving activity, Cherry Mobile aimed to uplift indigenous school kids who might have been left out or put down in some way in the areas where they are located. This is to help them appreciate their identity and at the same time promote camaraderie through games and inspirational messages. Cherry Mobile invited volunteer AK Jardin to help the Aeta kids know more about self-image and self-appreciation. In a game of Human Bingo, the kids from Aeta communities in Pampanga are encouraged to sign under one positive self-statement that they could identify with the most. As a means to promote camaraderie, Mangyan kids had the opportunity to bond with others outside of their community such as the army officers and volunteers. Mommies of school kids also had the opportunity to have fun as they also participated in games during the back to school activity. Major Ruben Guinolbay from the OJ 7 Headquarters of the Armed Forces of the Philippines encourage the pupils enrolled in a school in his hometown Isabela to love education and study hard. CSR manager Red Penaflor-Anacay motivates the pupils of a school in Taluksangay, Zamboanga, to keep studying hard no matter what circumstances they and their family might currently be in. CSR Manager Leah Lopez tells the little Mangyan pupils how privileged Barangay Cherry Mobile is for being able to reach them and let them know that they are cared for. Barangay Cherry Mobile achieved “Be Cool in School” this year through the untiring support of the local government units (LGUs), the Department of Education, the Armed Forces of the Philippines (AFP) particularly the Philippine Army (PA), the generous Cherry Mobile dealers, and the community of barangays who benefited from the Gift Giving. Many battalions under the Philippine Army participated in the nationwide "Be Cool in School" as teachers of the benefiting schools warmly accommodated the visitors. Aside from securing the place and providing the logistics, the Philippine Army also spent time with the kids during the games and gift giving. The impact of this endeavour could be seen in the faces of the beneficiaries – their gratitude for having visitors come from the other end of the country to see them personally and to make them feel that there are other people who cared for their needs. Where others simply cashed out donations and merely turned over goods for delivery, Cherry Mobile toiled to endure long drives, fly skies, cross rivers, and climb mountains. This is not only to make the presence of the brand felt but to see, touch, hear, and feel what the communities experience, and to realize that indeed, simple gifts of school supplies matter to these people. But even so, there is more yet to do to help these people empower themselves and make their communities sustainable in the coming years.